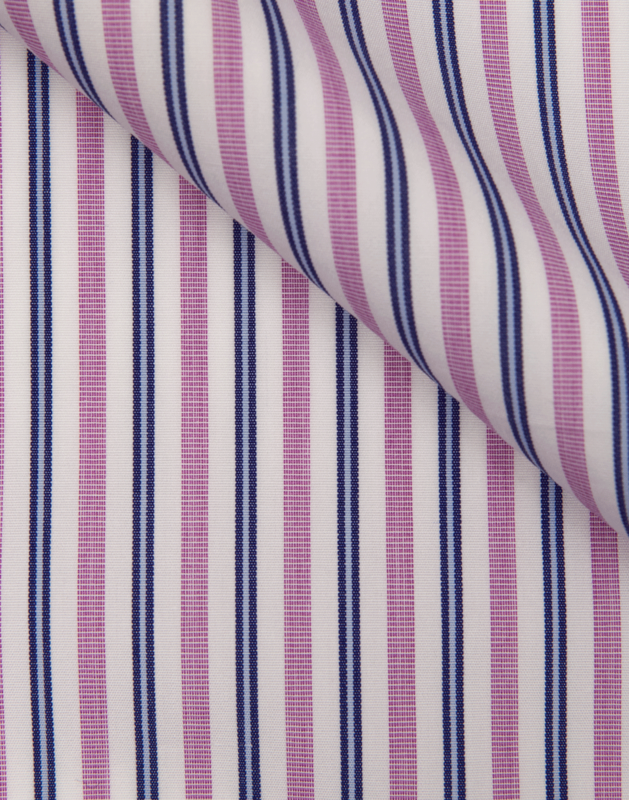 Colorful poplin fabric seen often amongst the chaos of the market floor. 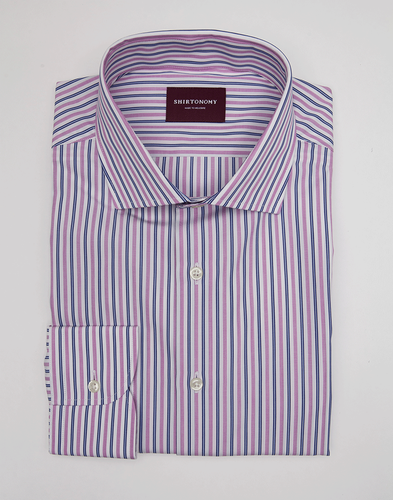 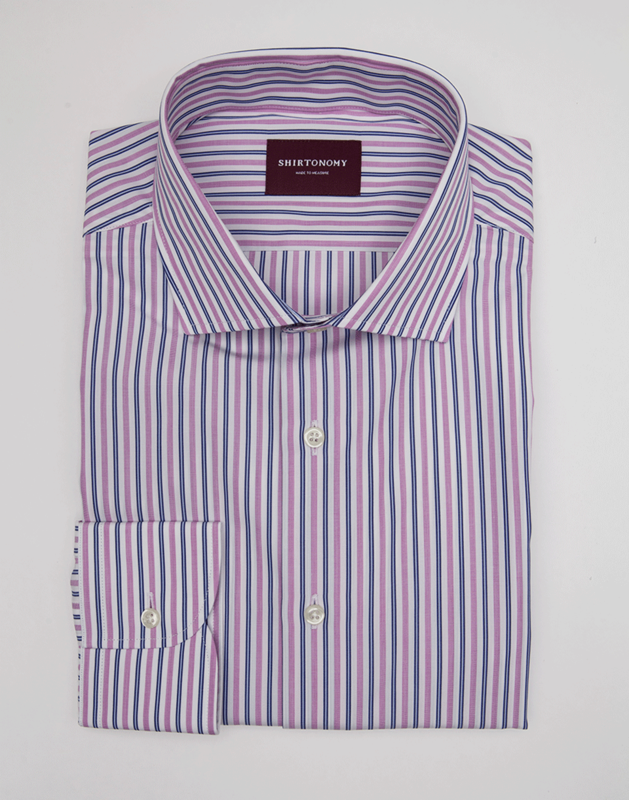 Its dressy character makes it usually best matched with a more formal choice of collar and cuffs. 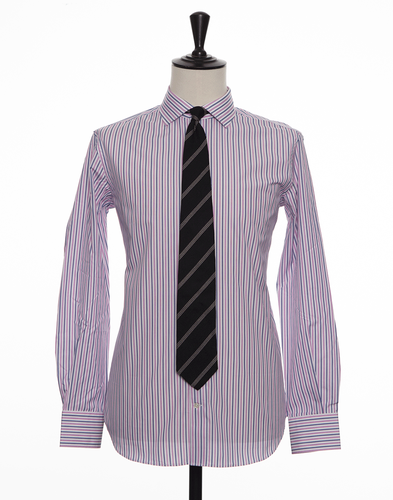 If you do choose to wear a tie with this shirt it is recommended you go for something more toned down to avoid becoming overly conspicuous. 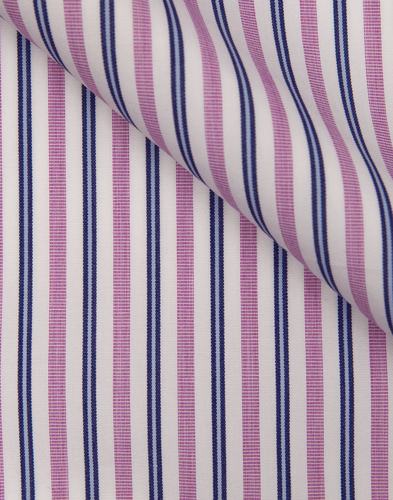 The fabric is woven in Italy of double twisted yarn from long fiber cotton.